The saga of Gaunt's Ghosts continues in this two-book collection charting the first half of the Victory story arc. Gaunt’s Ghosts is Black Library’s longest-running single author war series; military science fiction at its visceral best, beloved by fans for its gritty realism, superb storytelling, and humanity of its characters. "}" style="font-size: 10pt; font-family: Arial; text-align: center;">After twenty-five hard, blood-soaked years, Warmaster Macaroth’s crusade to free the Sabbat Worlds from the clutch of Chaos has ground to a halt. The Warmaster’s forces are split and deadlocked on two separate fronts, haemorrhaging momentum, men and materiel. A series of ambitious covert operations is planned across the sector – their aim to break the stalemate so the Imperial forces can move forward once more. Key players in this shadow war are Colonel-Commissar Gaunt and the Tanith First-and-Only. Will the bravery and cunning of this infamous regiment tip the balance in the Imperium’s favour? Gaunt’s Ghosts is Black Library’s longest-running single author war series; military science fiction at its visceral best, beloved by fans for its gritty realism, superb storytelling, and humanity of its characters. "}" style="font-size: 10pt; font-family: Arial; text-align: center;">Gaunt’s Ghosts is Black Library’s longest-running single author war series; military science fiction at its visceral best, beloved by fans for its gritty realism, superb storytelling, and humanity of its characters. 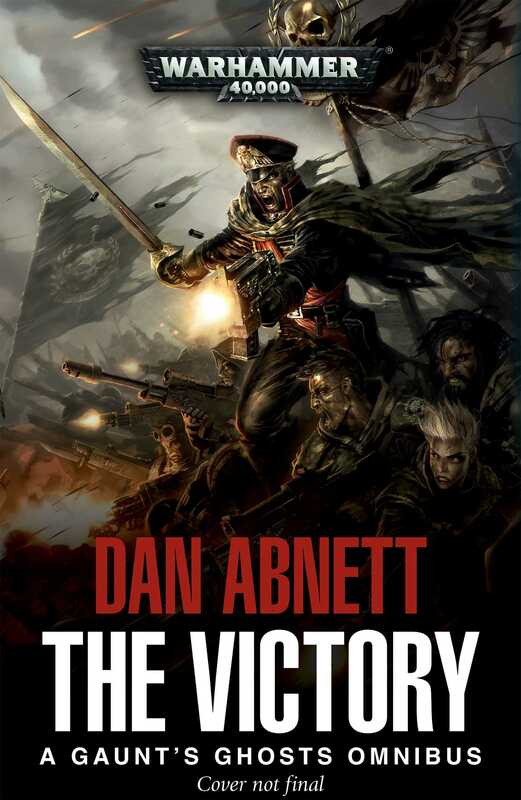 Dan Abnett has written over fifty novels, including Anarch, the latest instalment in the acclaimed Gaunt’s Ghosts series. He has also written the Ravenor and Eisenhorn books, the most recent of which is The Magos. For the Horus Heresy, he is the author of Horus Rising, Legion, The Unremembered Empire, Know No Fear and Prospero Burns, the last two of which were both New York Times bestsellers. He also script ed Macragge’s Honour, the first Horus Heresy graphic novel, as well as numerous audio dramas and short stories set in the Warhammer 40,000 and Warhammer universes. He lives and works in Maidstone, Kent.